Zeretta B. Owens, 67, of Little Rock, went to be with the Lord October 9, 2018. She was born January 20, 1951 in Forrest City, Arkansas to James and Parthenia Brown and raised by her grandparents; Pearl and Willie Lee Eckford and Aunt Gertrude (Sweet Cakes) Eckford. Zeretta was a 1969 graduate from Lincoln High School in Forrest City. She worked for Southwestern Bell as an operator for 30 years until her retirement in 2001. Zeretta liked to play video games, work Word Search puzzles, watch Westerns and hang with her family. She was preceded in death by her parents, grandparents and Aunt Gertrude. 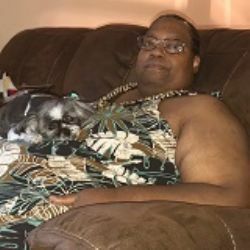 Zeretta is survived by two daughters; Angela Mull and son-in-law Elvis, Zelenda Owens, three grandchildren; Dariane L. Mull, Elvis D. Mull, Aidan L. Mull, her loving pet; Bailey and a host of loving family and friends.